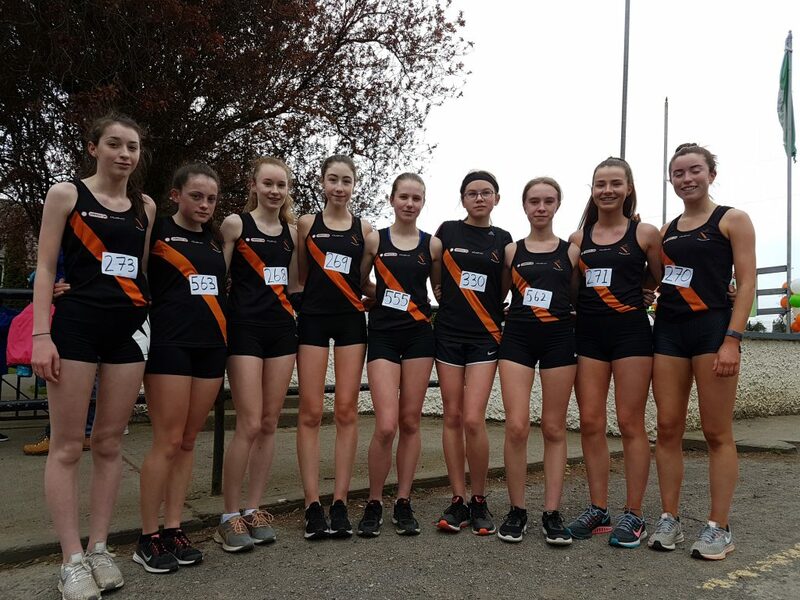 The Clonliffe U/16 to U/18 girls squad made the short trip to Lismullen National School just outside of Navan for the Lismullen 3k road race this morning (Sunday the 14th). As with the last outing enjoyed or maybe endured by this group a freezing cold windy day greeted the girls. Whilst the standard wasn’t quite top notch the performances of the girls was. At the finish up the long drag the Clonliffe vests were very much to the fore lead home in 3rd place overall and 1st woman Katie Halpin in a fine 11.42, closely followed by Aoife Hession (11.50) and Alana Fitzsimons (11.52). The girls making it a 1, 2, 3 in the women’s race. Great runs also from the rest: Naoise Cullen 12.27, Ella Brown 12.32, Lara Gallagher 12.57, Amy Daly 12.59, Ella Cooley 13.19 and Hollie Foy 14.53.